When you arrive in Niagara Falls Ontario hotels are plentiful. There are many places to stay in Niagara Falls and you do not have to break the bank to do so. An excellent way to know if it is a good choice is to see what previous visitors have to say about their visit. Find out why TripAdvisor readers give this hotel 4 out of 5. If you like to be in the center of the action then the Courtyard Marriott Niagara Falls is the place for you. This is a wonderful example of a three star hotel that is perfectly located just a block from the Falls. Fallsview Casino, Casino Niagara and Clifton Hill are within easy stolling distance. In other words, no driving required. Courtyard Cafe - enjoy a wonderful hot and cold breakfast buffet. Keg Steakhouse & Bar - Open for lunch and dinner and featuring the steaks. 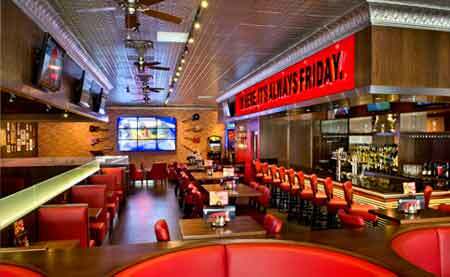 TGI Friday's - an exciting dining experience. Stop in for a bite or a drink after a long day of sightseeing around Niagara.- Its right next door. 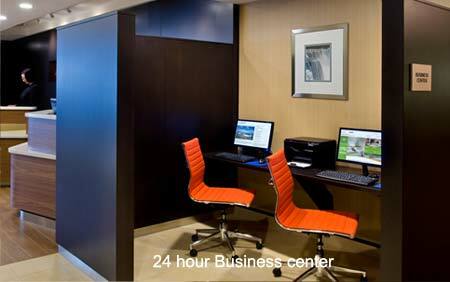 As you can see there are many reasons why former visitors think so highly of the Courtyard Marriott Niagara Falls among the many Niagara Falls Ontario Hotels. Read what the many satisfied visitors have said about this hotel to our affiliate TripAdvisor. To leave Niagara Falls Ontario Hotels and discover more about Niagara, you can return to our home page.